All our properties are in the core of the West Coast, one of the safest areas in South Africa, with one of the towns, Langebaan, until recently known as one of the fastest growing coastal towns in South Africa. As all our holidaymakers’ properties are beachfront, it is quite an attraction for Gauteng tourists. 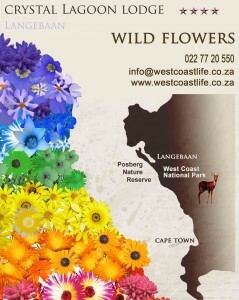 Besides the wild flowers, with the West Coast National Park, the West Coast Fossil Park and Langebaan Lagoon on our doorstep, also an attraction for international tourists. All properties on sale on these pages originated through one man’s vision and enthusiasm. Besides the recession that touched everyone, he got cancer last year, and although it was surgically removed and he is “clear”, we would like, if possible, to avoid unnecessary stress that could trigger re-growth. To sell any one of the following would allow for his retirement – and at almost sixty, it is good timing.